What Is The Cost To Flush Out a Central Heating System? Can I Power Flush My Heating System? How Much Does It Cost To Flush A Radiator? Helping Your Boiler Powerflusing Problems - We all know that household bills take up a fair chunk of our hard earned money, so itâ€™s SO frustrating to see that go to waste when your central heating system isnâ€™t actually heating or you have zero hot water. In particularly extreme cases, you could actually burn your cash and get more warmth than your half hearted central heating system is providing! But fear not - help is at hand! 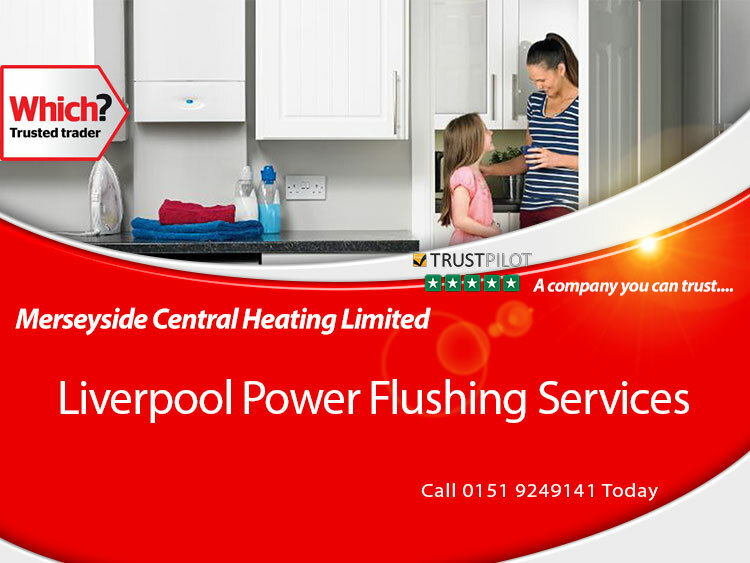 Here at Merseyside Central Heating Ltd, we have a team of Gas Safe Registered engineers who have probably seen any and every boiler, heat exchanger or central heating problem in the 40 years weâ€™ve been keeping Merseyside warm and weâ€™re just a phone call away to offer our advice and expertise. We have access to a range of competitive finance options from 0% APR to 9.9% APR to suit every budget. Whether you have a deposit or not, you could spread the cost of your boiler over 1, 2, 3, 5 or 10 years, so your payments are manageable and suit your lifestyle. Use our free quote system to find out what Worcester boilers can best replace your current one, for additional information it is recommended you speak to one of our accredited installers. We know that when carrying out a boiler replacement, getting the part you need quickly is really important. 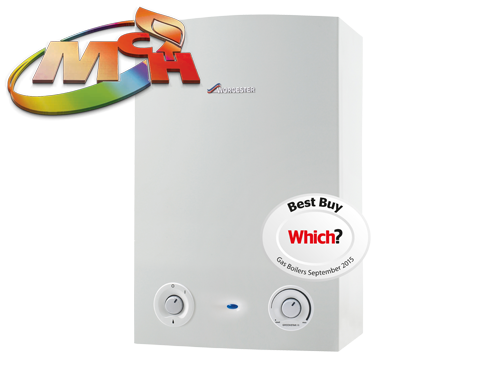 Taking on a New Boiler Pay Monthly plan you can expect a low monthly repayment â€“ Â£21.98 per month with no deposit or even as little as Â£10.99 per month with 50% deposit. This is often offset by the monthly savings on your energy bills, a direct result of an energy efficient boiler. 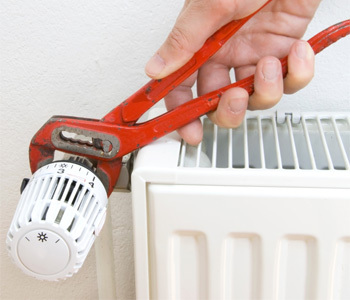 Full Central Heating Install - Central heating installation without the hassle. So, what sort of central heating installation system are you looking for? Our new combi-boilers provide constant heat and hot water on demand. Plumbing Installation & Repairs. Whether you need an installation, repair or replacement, or general heating maintenance, your expectations will be exceeded. Whether you are a residential or commercial customer, We pride ourselves on customer satisfaction. As with anything gas related, you can only use qualified engineers. Weâ€™re a hardy nation so we often think we can tackle things ourselves, but the safety of your family is paramount, so using a Gas Safe Registered engineer is your first port of call. And yes we do tick those boxes here but that goes without saying really doesnâ€™t it - weâ€™ve already mentioned that weâ€™re experts. Ok so weâ€™re assuming youâ€™re having a few problems heat wise? Without taking a look in more detail, itâ€™s often tricky to diagnose the root of a problem but there are common symptoms to your central heating system needing a power flush that we recognise. Are you experiencing any of these? - Do you have small leaks in some of your radiators? - Does it take a long time for your system to warm up? - Are some radiators totally cold yet others are warm? - Are some radiators cold but the pipes are hot? - Are your upstairs radiators warmer than those downstairs? - Are some radiators cold at the bottom and hot at the top? 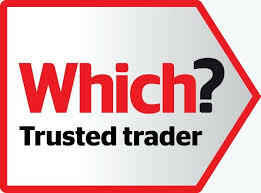 - Does your boiler regularly shut down and need restarting? - Is your boiler really noisy? Whilst answering yes to some of these questions could suggest other problems are at play, the above problems are often caused by a build up of sludge and debris which a boiler power flush can usually solve. Giving us a call to describe your symptoms or the age of your boiler will help as the older your central heating system is, the more likely it is that you have sludge in your radiators. Obviously when the central heating system is in use, the constant flushing process pumps water around the pipes and through the boiler. They can become clogged up with dirt, debris and rust with time and this causes a build up of sludge, which being heavier than the water, settles at the bottom of the radiators where the hot water is then unable to reach. If left unchecked, this can build up in radiators, circulator pumps, heat exchangers and pipework causing the entire system to work much harder to keep your home warm. Over time your bills will slowly creep up (along with the sludge!) but in severe cases it can also lead to bigger blockages breaking parts of your system or your boiler totally failing prematurely. If conducted properly, a boiler power flush will clear out all of that debris and have nice clean hot water running through your system faster than you can say ermâ€¦ Merseyside Central Heating?? Powerflush A good power flush will send water at high velocity through your central heating system to dislodge and remove all that yucky sludge we mentioned. When you think that this is rust, dirt, limescale and debris that may have been around a while, youâ€™ll want to make sure youâ€™ve actually cleared it, as causing a blockage will cause far more problems than you started with. If your return pipes arenâ€™t returning it defeats the object and not using a powerful enough flush is likely to only clear a single path through the system and not the whole system so will be about 20% effective at best. It can also get very messy too if you donâ€™t have the right equipment to drain the sludge, debris and water into! Time Depending on a few factors such as the age of your system, how much sludge has built up and the size of your system, the power flush can take anything from 6 to 10 hours when conducted by an expert. Imagine this process in DIY mode! And thatâ€™s IF you donâ€™t encounter any problems with blockages etc Even with an expert involved, in extreme cases it can sometimes take longer than a day to complete so this needs to be borne in mind if youâ€™re thinking of tackling this yourself. Safety Besides the obvious point that youâ€™re dealing with gas appliances here, most power flushes are conducted with chemicals to ensure the efficacy of the process. The range and diversity of chemicals available is huge, but so is the quality of them. Even using a lesser quality engineer could see you with an inferior chemical or service, so weâ€™d always suggest sourcing at least two quotes from qualified experts to ensure they know what they are doing. Obviously weâ€™re hoping weâ€™d be at least one of those calls you make for a no obligation quote, but no pressure (pun very much intended!) but check out reviews and recommendations here too for your own peace of mind. This is definitely a case of getting what you pay for - cheaper now doesnâ€™t mean cheaper long term. Expertise The power flush can sometimes identify other problems in which case youâ€™d need an expert to diagnose the issue. Whilst the build up of sludge can cause problems, removing the sludge doesnâ€™t magically fix them. The full process needs to be conducted properly. For instance leaving sludge removing chemicals in your system for a long time can cause more sludge to form or harden, but itâ€™s very difficult to ensure youâ€™ve completed the process properly as a novice. Another consideration is that occasionally itâ€™s cheaper to replace your system rather than repair it but youâ€™ll not have the knowledge to make this diagnosis and could waste money on the flushing process unnecessarily. Certificate Last but most certainly not least, if you have a warranty on any part of your boiler or central heating system youâ€™ll need a certificate for any work embarked upon, as deviating from this could render future insurance or warranty claims void. We can provide a certificate to prove that the power flush has been carried out which is crucial if you need to evidence to a manufacturer or insurance provider that you have had all work carried out by a professional. Here at Merseyside Central Heating Ltd weâ€™re a friendly bunch who like to help. Not only can we professionally deal with your boiler power flush itself as well as any ensuing problems, we can also advise you on the maintenance of your central heating system going forwards. We can advise you on how often to flush out your system for optimum performance and if you need any help or advice on your hot spots, cold spots, boilers or pipes get in touch and weâ€™ll be more than happy to help. How do I arrange to have a boiler service? Complete our contact form or give us a call (01519249141) to arrange at a convenient time. I have central heating but no hot water? This is normally caused by a faulty diverted valve located inside the combi boiler, this requires an engineer visit, we can call out to fix this at a labour cost of Â£55 plus Vat plus the cost of a new diverter valve. Do I need to get my boiler serviced every year? Many boiler manufacturers will insist this is done to keep the warranty in tact, it is also a legal requirement for landlords to have a landlord gas safety check completed. When is the best time to have a boiler service? Most people have their boiler serviced in the winter, we believe it's best to have it completed in the summer as if there Is an issue in the winter and the boiler requires a part which is not available until the next day then it runs the risk of you being without heat or hot water in the winter. 1. No heat or hot water, pressure gauge on zero? Boiler will need to be filled up with water via the filling loop until the pressure reaches 1-1.5 bar. Most recent combi's boilers will self-reset when the pressure is back to normal. If not then press and hold reset for 3-4 seconds. I have hot water but no central heating? Check that the room thermostat is turned up and the programmer is calling for heat. If so then normally one of the two is broken, If you have a wireless version then replace the two AA batteries. Boiler is losing system pressure? The most common reason for this is a faulty expansion vessel, normally when the heating is turned on the pressure will shoot up to 3 bar on the pressure gauge and the system water will expel through the small 15mm copper pipe outside, if this is the case then we can which re-charge your expansion vessel within a 1 hour call out. Other reasons for pressure loss are there is a leak somewhere on your system. Could be one of many parts on the boiler and will require an engineer visit, most common leaks are due to faulty automatic air vents. Fill in attached form for a quotation. Will most probably be a faulty 2 port/3 port valve or a pump (if system works on gravity hot water) fill in attached form for a quotation. Same again a 2 port or 3 port valve depending on what set up you have. Boiler making banging and kettling noises? This is normally an issue with a broken boiler thermostat or more likely a blocked heat exchanger, this can rectified by power flushing the system or chemically cleansing/flushing the system, contact us for price and advice. The pilot light won't stay lit? This will be either a new Thermocouple or a gas valve, this needs an engineer visit, Click here to request a free quote. It's freezing outside and my boiler will not work? If your boiler is a condensing model then most likely the condensate pipe is frozen, if the pipe is accessible then try boiling a kettle and pouring it over the plastic pipe to try and thaw it out. My central heating comes on when I select hot water only? Normally means your 2 port or 3 port valve is passing, could rarely be faulty programmer.